The KMG International Group (KMGI) has recorded an increase by 27 percent of the processed raw materials quantities and 80 percent of the total volume during the first quarter. The Group registered an EBITDA operational result of USD 114.6 million, up by 60 percent compared to the same period of 2017. At the same time, the net result, also supported by the internal optimization and cost reduction programs, reached USD 30.6 million, as compared to a level of USD 5.2 million recorded between January and June 2017. The gross turnover of the Group was of USD 6.67 billion during the first half of the year, an increase of the indicator by 65 percent compared to the level reached during the first half of 2017, in line with the evolution of the prices of raw materials and petroleum products. The Group’s contribution to Romanian budget since 2007 and until now exceeds USD 15.8 billion. During the first half of the year, KMGI transferred over USD 930 million to the State budget. The Group’s manufacturing facilities in Romania have processed a total quantity of raw material of 3.4 million tons during the first half of the year (+27 percent), KMGI being the largest domestic refiner (Petromidia Navodari and Vega Ploiesti Refineries) and the sole manufacturer of polymers, hexane or road bitumen. In this context, Rompetrol Rafinare – the operator of the processing facilities, has recorded a significant increase in the operating and net result, up to a level of USD 85.8 million and respectively, USD 2.8 million. The largest facility in the sector in Romania and one of the most modern in the Black Sea region – Petromidia Navodari Refinery succeeded to reach a level of 3.1 million raw materials processed during the first half of the year, a record in its almost 40-year history. In May, it had reached a record level of processed oil of 15,650 tons/day, the quantity of processed raw materials reaching an average of 17,054 tons/day during the first half of the year. The refinery has recorded a constant increase in the raw materials processed daily, from an average of 10,800 tons in 2007 to 11,000 in 2012, respectively 16,763 during the previous year. Petromidia Refinery has obtained approx. 2.42 million tons of fuel during the first half of the year, of which more than 64 percent represented Diesel fuel and special aviation fuel – jet fuel. At the same time, Vega Ploiesti Refinery has processed an approximate total quantity of 194 thousand tons, an increase by 28 percent compare to the similar interval of 2017. In May, the facility has recorded a historical record of the processed materials, 42 thousand tons and also a record of 13 kt of Bitumen production. The facility located in Ploiesti operates in perfect synergy with Petromidia – Navodari Refinery, which ensures it all necessary raw/semi-finished materials for obtaining special products with high added value (bitumen, solvents, hexane). The use level of the processing capacity increased by 28 percent in the case of Petromidia Refinery (98.45 percent), respectively by more than 25 percent in the case of Vega Refinery (117.53 percent) during the first half of the year. The financial results recorded by the Petrochemical Division during the first half of the year were affected by the low margins and high volatility of the prices of raw materials and petrochemical products. The total polymer production increased by 26 percent in the first half of 2018 compared to the interval between January and June of the previous year, up to a level of 81.6 thousand tons. The division has completed the overhaul and testing activities for the high-density polyethylene – HDPE plant (verification/equipment upgrade, approvals, etc.) 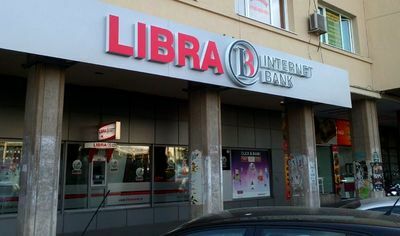 during the first half of the year and aims to restart it during the next period, depending on the market conditions. 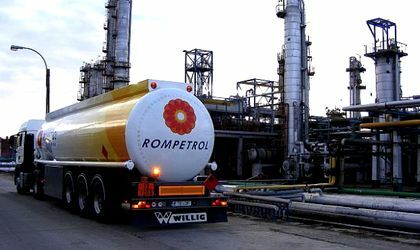 The Refinery and Petrochemical Divisions of Rompetrol Rafinare succeeded to increase the quantities of delivered petroleum products by 34 percent during the first half of the year, their value exceeding USD 926 million (approx. 80 percent over the indicator during the first half of 2017). During the first half of the year, the domestic and regional fuel demand was affected by both the severe weather conditions during the first quarter and the general economic conditions (the impact of domestic and international price evolution). Through its retail divisions in Romania, Bulgaria, Moldova and Georgia, the Group has reached an increase by 5 percent if the fuel volume sold during the first half of the year, up to a level of approx. 1.5 million tons. The Romanian subsidiary has increased the sold fuel quantity (including liquefied petroleum gas) by 12 percent, compared to the level of 950 thousand tons during the first half of 2017. At domestic level, total petroleum product sales during the first half of the year reached 1.4 million tons, approx. 15 percent over the result obtained during the same period last year. The direct sales of the manufacturing facilities increased by 37 percent, up to 372 thousand tons, as the Petrochemical Division also improved the quantities of polymers delivered in Romania by 26 percent during the first half of 2018. KMG International continued to expand its regional distribution network, reaching a total of 1.094 distribution facilities (own stations, partner stations, express stations, internal bases) at the end of June, an increase by 88 facilities compared to June 2017. During this year, the Group has also introduced the concept of internal bases in Georgia (20 cubic meter tanks installed on the premises of the companies having motor vehicle fleets), having at present 14 facilities. It has opened in the first half of the year 3 new gas stations in Moldova Republic and 2 new units in Romania (Bacau and Bragadiru), where KMGI wanted to continue the interior and exterior rebranding with focus on Expres stations, LPG skids and Rompetrol Partner network. Aiming to increase Rompetrol’s presence in Bulgaria, the local subsidiary took over the management of 5 fuel stations in Sofia, Plovdiv, Plevna, Sevlievo and Borovo (Ruse region). These stations shall be subject of an extended program of upgrade and alignment to Rompetrol’s standards during the next interval, the leasing agreement being concluded for a 10-year term. KazMunayGas Trading – the Group’s trading division – recorded a total volume of traded raw materials and petroleum products of over 11,5 million tons during the first half of the year, an increase by 35 percent compared to the level reached in 2017. They also included the raw materials delivered for supplying the Group’s manufacturing facilities, but also the transfer/sale of petroleum products to the subsidiaries in the region and external partners. The total petroleum product sales at the level of the Group reached 4.45 million tons during the first half of the year, of which 1.4 million tons in Romania, 830 thousand tons in the Black Sea region (including deliveries to the subsidiaries in Bulgaria, Moldova and Georgia), and the difference of 2.2 million tons being delivered to other external partners through KazMunayGas Trading. KMGT is also the operator of the oil volumes produced by KazMunayGas for export. Thus, KMGT delivers oil to Petromidia Refinery and carries out trading operations for selling oil on international markets. 100 percent of the crude oil processed by Petromidia Refinery during the first half of 2018 was unloaded through the Group’s marine terminal located at 8.8 kilometers from the shore of the Black Sea, directly in the tank park, the finished products being subsequently delivered by road, railway and sea (Midia Năvodari Harbor). Thus, the number of ships operated during the first half of this year by Midia Marine Terminal Company reached 301 ships and barges through Midia Harbor, but also 30 oil tankers through the marine terminal. The total quantities of petroleum products delivered in the first semester of 2018 via ships, barges, wagons and tankers from Petromidia and Vega refineries were over 3.6 million tons. Between 2009 – S1 2018, the number of vessels operated by Midia Marine Terminal amounted to 4463 ships and barges operated in Midia Harbor, and 424 oil tankers through the offshore marine terminal. The total quantity of raw materials delivered to the Petromidia refinery during this period was approximately 40 million tons.